Imperial Chakri Palace first opened its doors in 1999 and they have been providing the authentic Thai Cusine in KL with their high skilled chef who are all hand picked from Thailand. During the month of Christmas, Chakri did not hestitate to come up with their new menu to cater for their customer for a change. 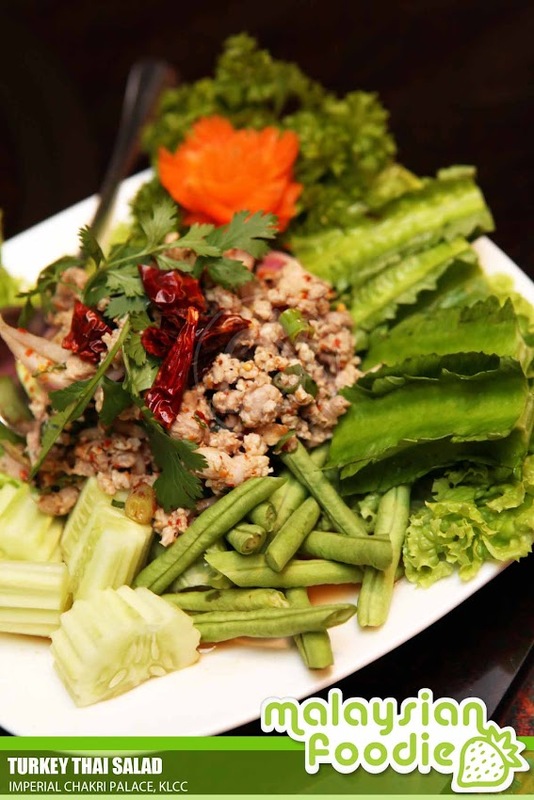 Mieng Kam is one of the first dish which is being served to us which is one of the Thai delights. The Thai Traditional Handroll which is served with seven (7) types of ingredients with it. 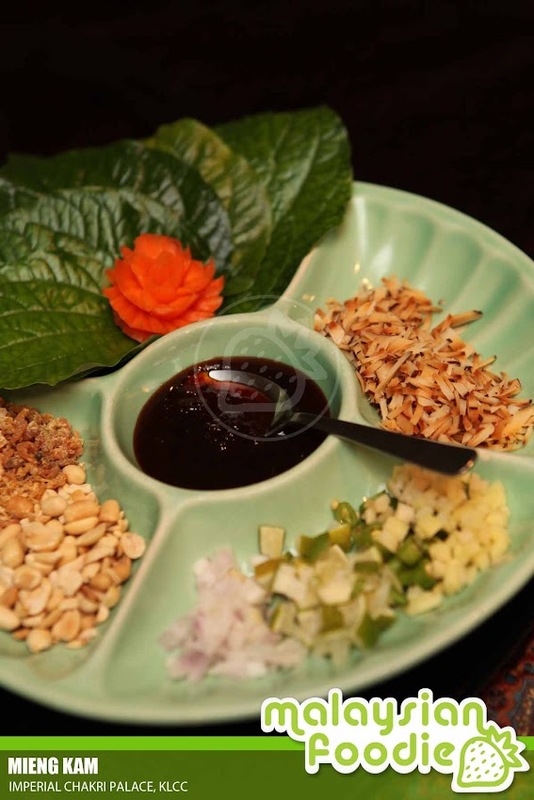 It includes the peanut, baked shredded Coconut, Chili Padi, Diced Onions, Diced Lime, Diced Ginger, Sun Dried Shrimp and “Kaduk” Leaves which is served with the Shrimp Paste Sauce with it. 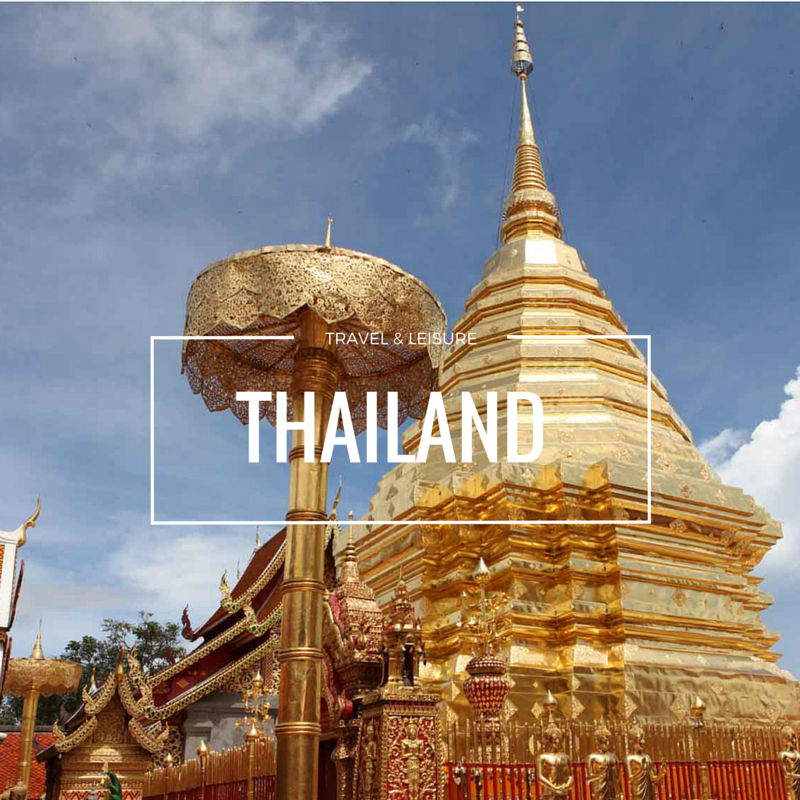 It is one of the famous Thai snacks and is a healthy food too. The speciality of it is each of the daun kaduk is specially hand pick by chef before it is being served. Next we have the Turkey Thai Salad ( Larb Gai Nguang) which is really a great combination and a lovely dish to me. The Turkey meat is being minced chopped and it is up with the soury sauce and the beansprout as well as kacang botol together with it.The delights brings the dishes perfectly well with the spices in it and the taste is superb and flavourful. 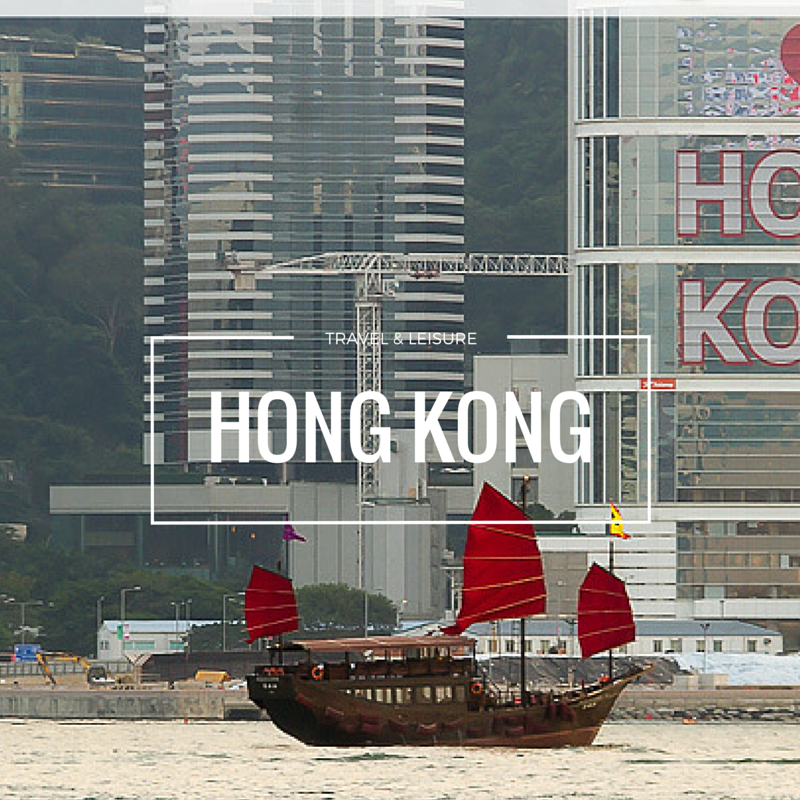 What next being served is the Hong Kong Kailan with the Sliced Turkey. The dish is good to be combined and topped with the sauce with it. With this, the meat is really good and it is not greasy too. Each of every bites of the turkey is juicy and tender. 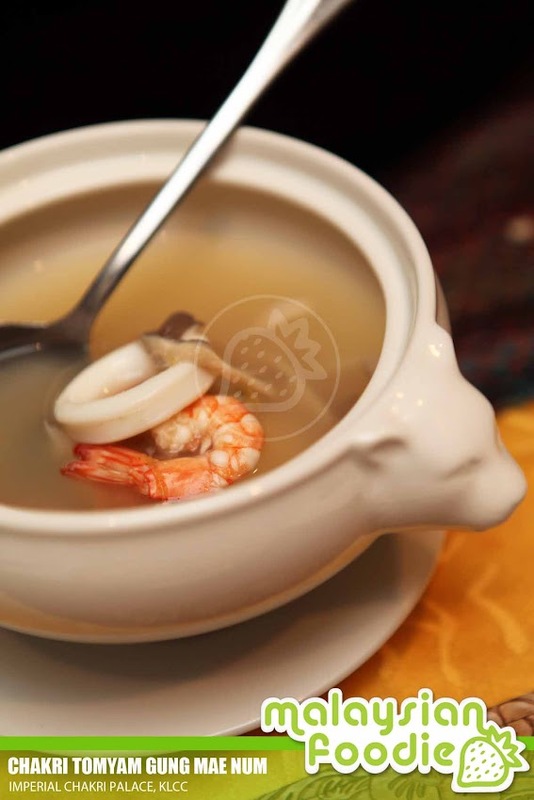 Coming next is the Chakri Tom Yam Gung mae Num where the Chakri Sour and spicy Lemongrass Soup is being served with prawns and Seafood. 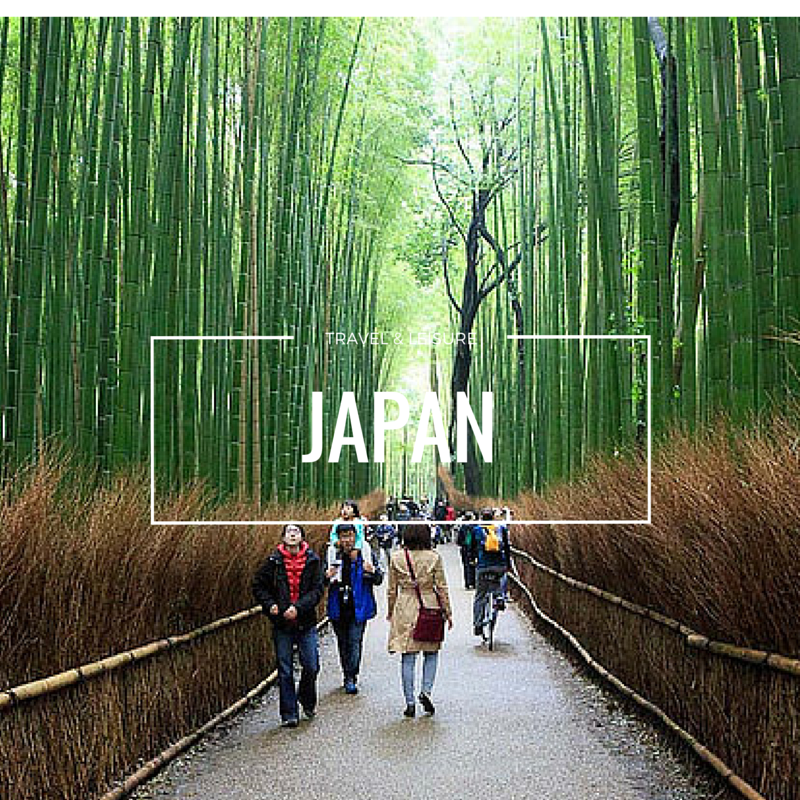 We had the clear one which is originated from Bangkok. The soup bring a lot of spiciness which is really superb and lovely. 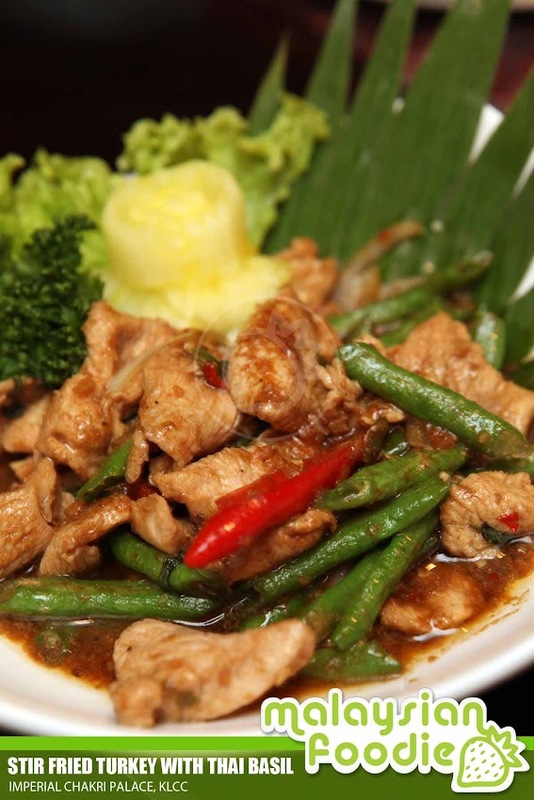 Not to forget the other special dish is the stir fried turkey with thai basil.The basil sauce is well mixed together with the turkey and the dish is bringing the delighting hot and yet the fragrance of basil is there. It really made a perfect match of the meal which I could not resist to have more of it. 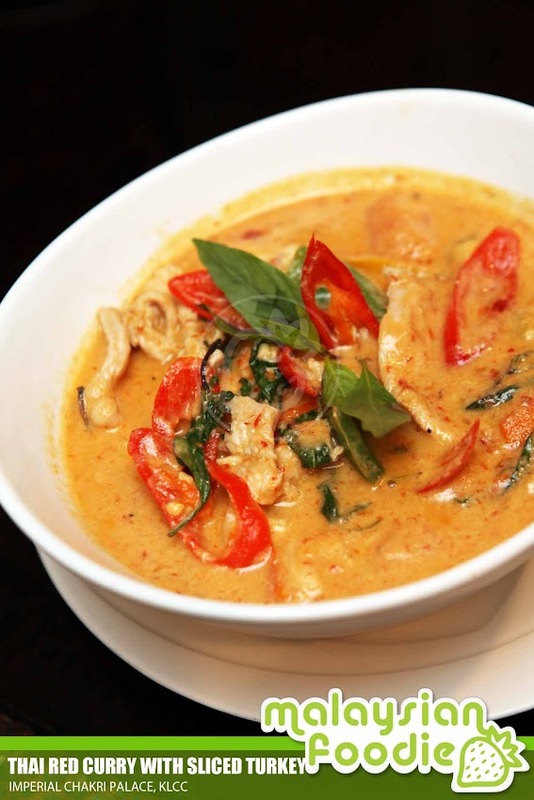 If you love some Thai Curry, Thai Red Curry Turkey is a great combination. Instead of chicken meat the dish is being replaced with turkey instead. The curry is not too spicy and it makes a great combination with the tender meat of turkey. 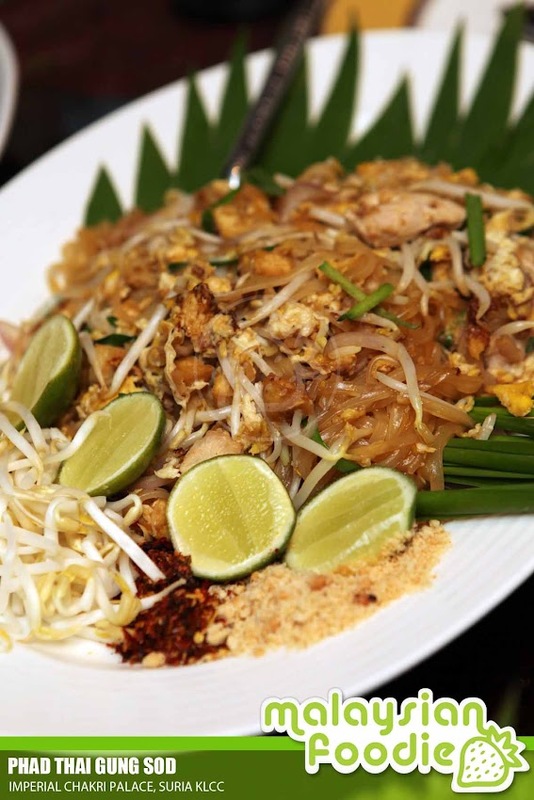 Not to forget is the Phad Thai Gung Sod where the fried thai noodles is being served with prawns, crushed peanuts as well as chilli powder.The thai fried noodles is well-stir fried with the condiments which makes is very special. The noodles are smooth and flavourful with the chilli powder added into it. Why not having a sweet delights after a heavy meal? 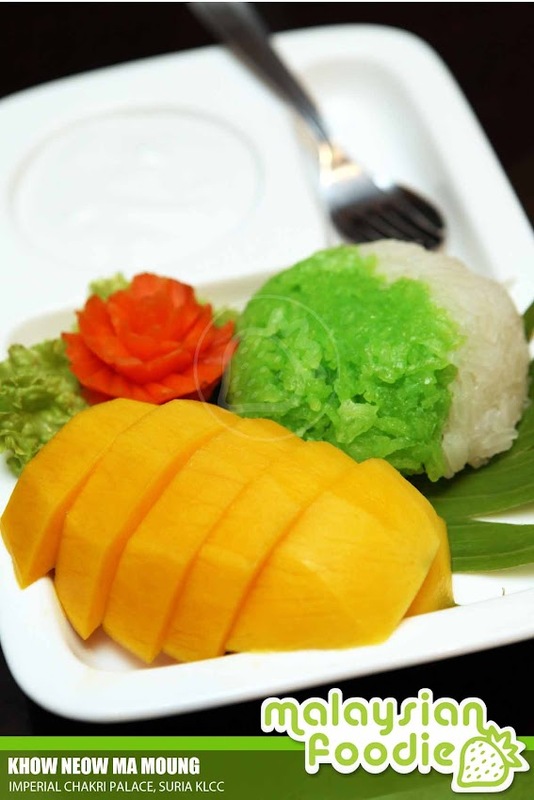 Khow Neow Ma Moung is another chef’s recommendation where the fresh mango and the sticky rice is being topped with the salted coconut milk. I am falling in love with the desserts where they have 2 flavored of sticky rice which is the pandan flavor and the original. The desserts is simply good and lovely too to be shared together after a meal. 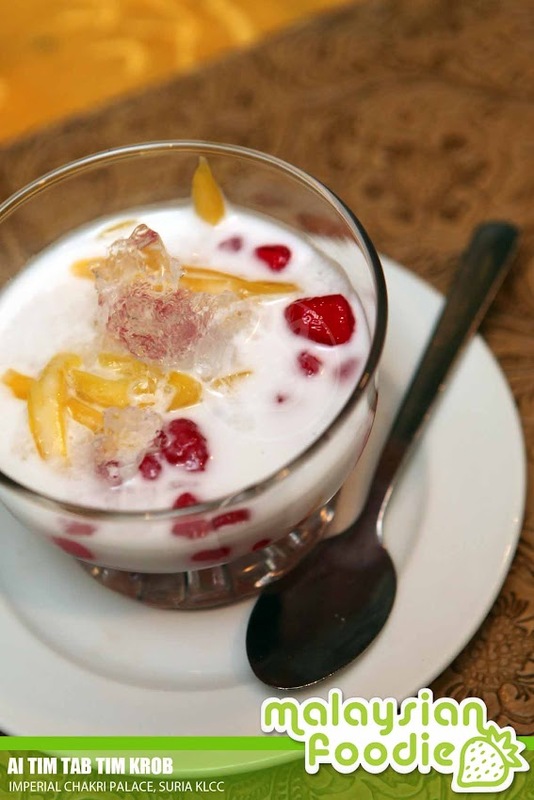 We ended our meal with the Ai Tim Tab Tim Krob which is the chilled red ruby water chestnut which is served in coconut milk. 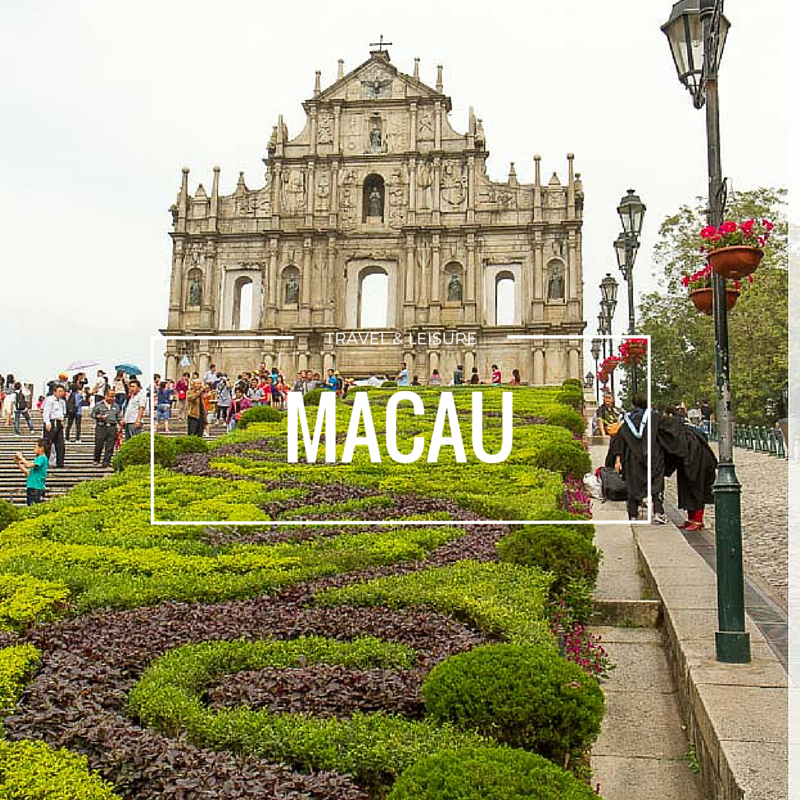 It is one of the chef’s recommendation where the water chestnut is really good and I love it so much with the sago which is being served together with it. 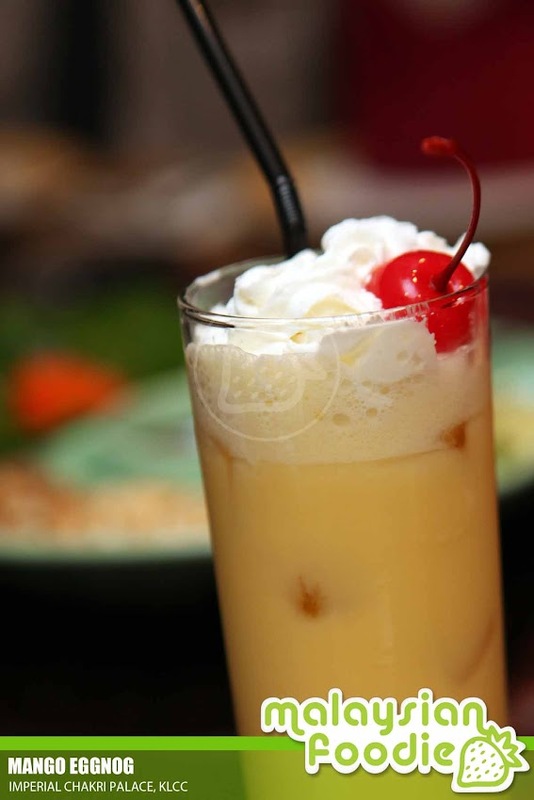 Non-alcholic Mango Eggnog is the Christmas Special Drink where the drink is blend with raw egg yolk, ice mango juice, mango puree together with a pinch of salt. During the Christmas Month, Chakri had offered the Christmas Special Set online where you may get the exclusive offer at RM 299++ for 4 person for the Chakri Christmas Special instead of RM 350++ . And for the Chakri Santa Special, the price will be at RM 399++ instead of RM 430++ for 4 pax. The exclusive offer is available online and it can be used in 3 outlet which is the Imperial Chakri Palace, Suria KLCC, Chakri Xpress, Alamanda Putrajaya as well as Sticky Fingers Bangkok Bistro, Pavilion KL. 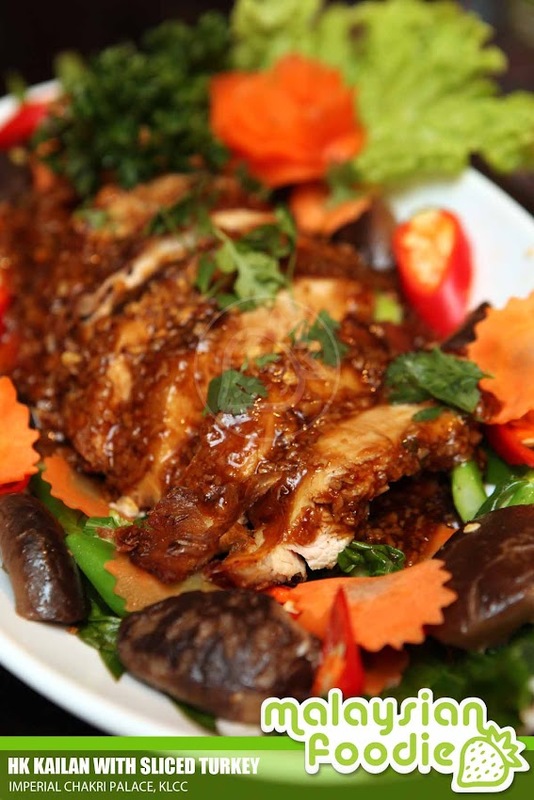 Not only that, Chakri also offer the Traditional Christmas Roasted Turkey which is being stuffed with chestnut and served with brown sauce. 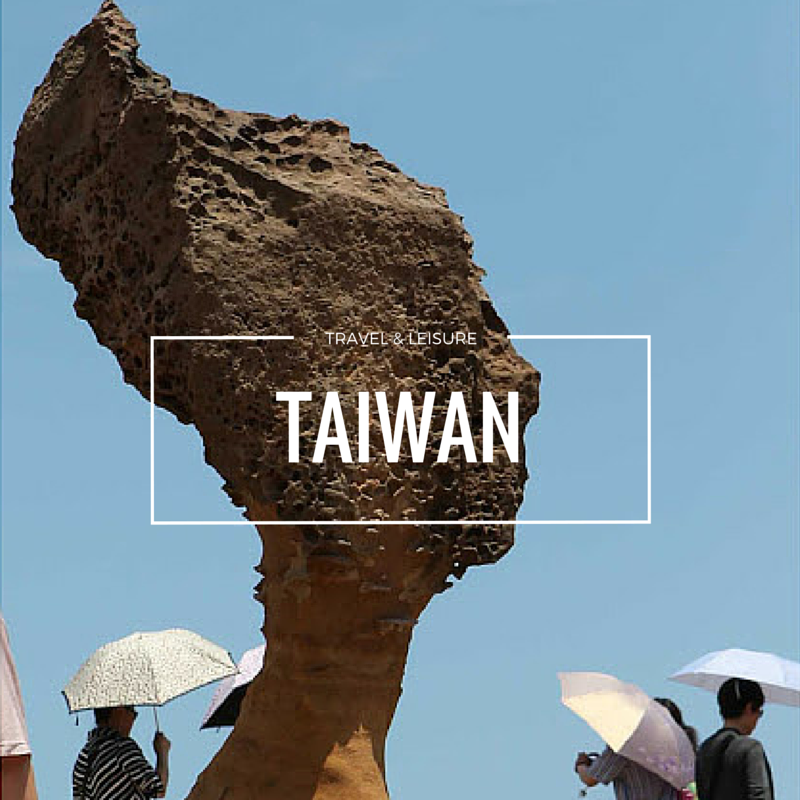 It is priced at RM 288++ per bird. You may order online at http://shop.chakri.com.my and the promotion period is from 1st December till 31 December 2012.